It’s Good To See Progress in Oakland. And, We Need To Go Faster. 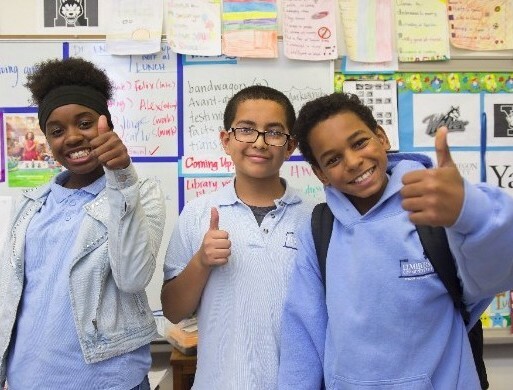 Preliminary results came out on the annual state tests today, and for the Oakland district, there’s a twin headline: It’s good to see progress. We need to go faster. 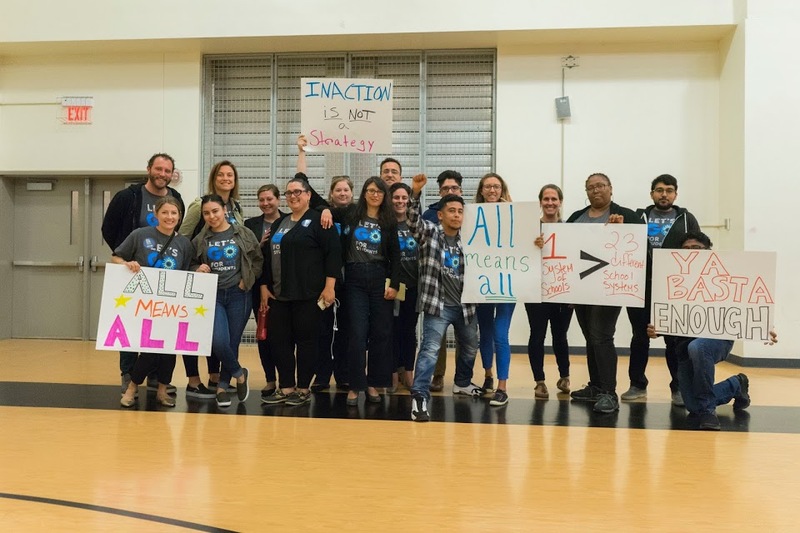 The headline: small but real progress, with 30 percent of students meeting or exceeding standards in English Language Arts, and 25 percent in math – growth of 1 percentage point, and 2 percentage points, respectively. Other big urban districts in California made similar or greater progress. The best news in these scores is that several schools — mostly in low-income neighborhoods — made huge gains. Among them are Burckhalter Elementary, Esperanza Elementary, Life Academy, Allendale Elementary, Parker Elementary, and McClymonds High. 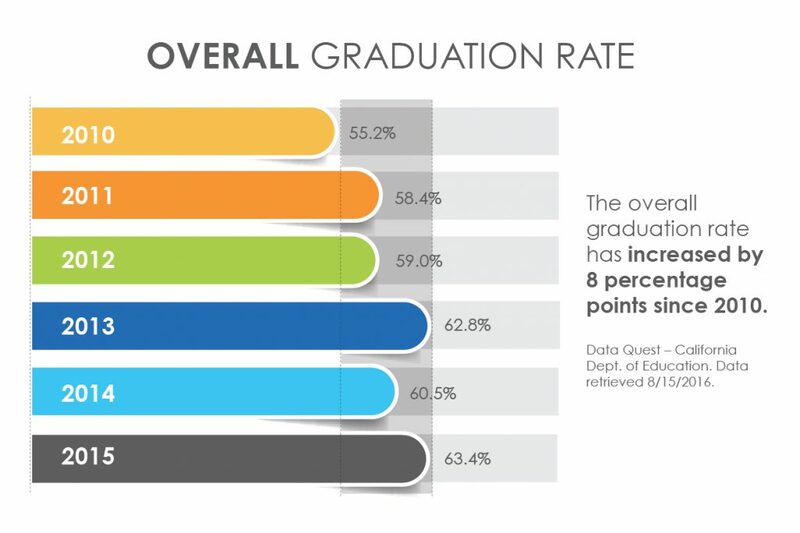 The new standardized test results help to fill out a larger picture of progress in the Oakland district, which includes a major increase in graduation rates and college readiness, and a sharp cut in out-of-school suspension. That progress matters so much. 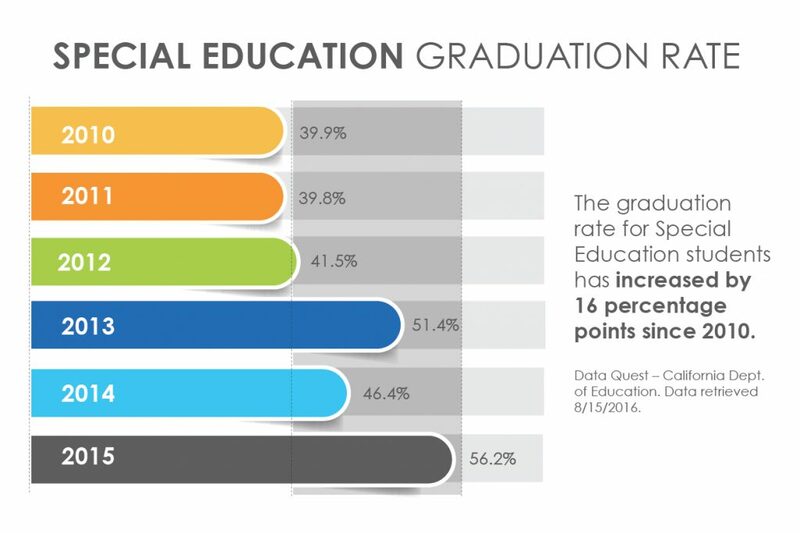 When you see huge increases in graduation and college readiness, especially for groups that have lagged behind, that’s no accident. That’s the hard work of teachers, principals, students, families, and leaders on the school board and in the district. And: we have to go faster. No one can be satisfied when fewer than a third of our students are meeting standards. 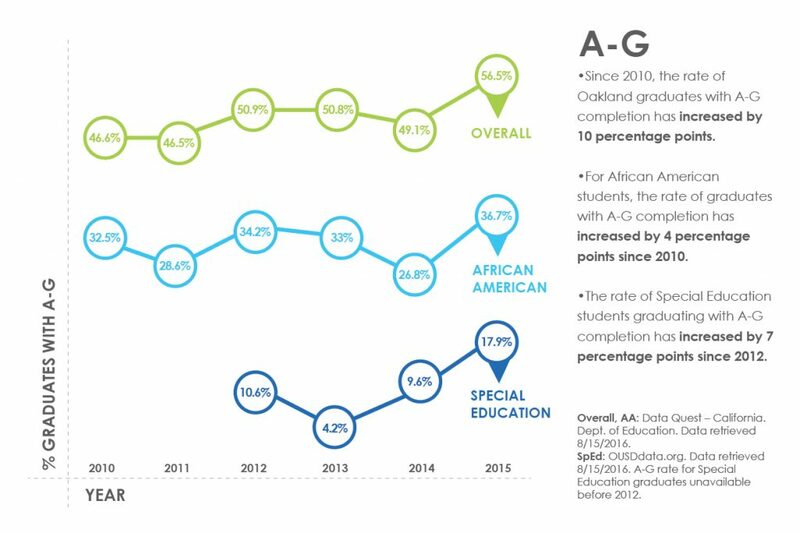 It is great — truly great — to see advances on the path to college readiness for so many students, especially for student populations that have lagged in the past. But even with those increases, we have so much further to go. 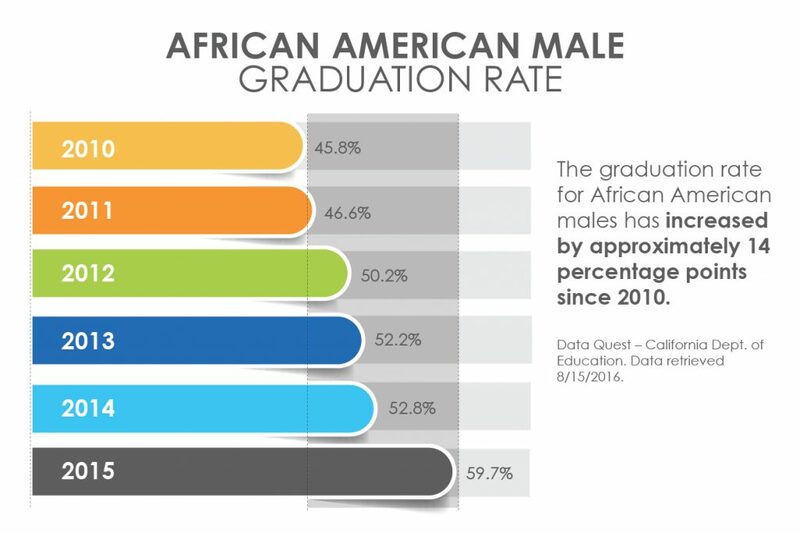 The good news is that Superintendent Antwan Wilson and the Oakland board of education have laid out a common sense foundation that seems likely to accelerate improvement. 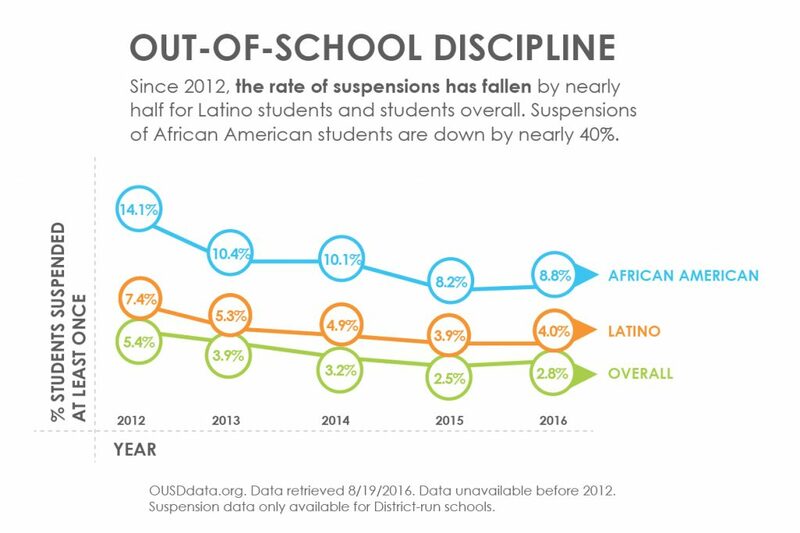 Fewer suspensions means more learning time and motivation. More high school experiences linked to college and career means more high school graduates ready to succeed in college and beyond. And fewer dollars in the central office means more dollars for the schools. These are right steps to speed up improvement. Our GO community stands ready to help in every possible way to accelerate the progress we’re seeing today.